Starting your own business in 2017 is easier than it’s ever been. In the last year, millions of businesses have started up around the nation, usually in someone’s home or garage. If you’re ready to take your little operation to the next level, or you’re looking to start an office-based enterprise by renting out the right space, this article contains all the information you’ll need to make an informed decision on what’s best for your business. 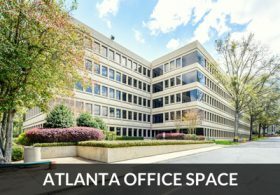 We’ll look at the details of leasing an executive suite, a traditional office space, or a “flex space” (part-office/part-warehouse), as well as how to determine what size office you’ll need. Choosing the ideal office space for lease is a crucial step in ensuring the success of your business – let us help ensure that you make an informed decision. 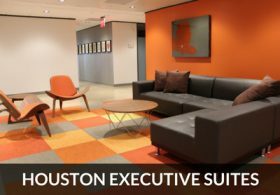 An executive suite is a great starting point for small companies with just a few employees, or even solo consultants or other professionals. 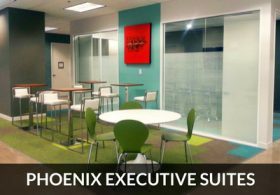 In an executive suite, individual businesses can lease or rent out offices and work space, but common areas and break areas are shared by everyone in the office. 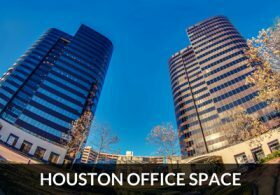 This means that you’ll spend time meeting, interacting, and networking with plenty of other tenants in the building. Boxer Property’s signature executive suites come fully equipped with high quality shared amenities commonly utilized by larger corporations. 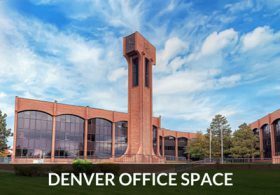 Amenities include free WiFi, modern coworking commons, presentation equipment, access to an online Tenant Center, and a complimentary coffee bar just to name a few. 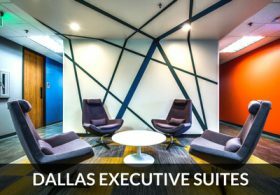 Most executive suites are billed on a gross basis, so you’ll likely save a lot of money compared to renting a traditional office. 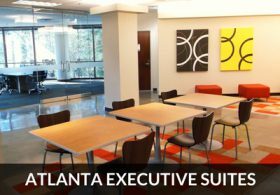 Executive suites are great for solo business owners who need a place to meet clients, and can be adapted for teamwork as well. 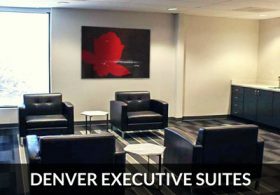 Boxer executive suites for lease are available nationwide in the following cities: Houston, Dallas, Fort Worth, Austin, Atlanta, Chicago, Cleveland, Denver/Colorado Springs, New Jersey, Phoenix, and San Diego. A traditional office is the most familiar type of office to work in. Your company will lease a space that includes work areas, a reception area, common areas and a recreational/break room. The greatest advantages to a traditional office space for lease are privacy and control. You’ll be in full control of what your customers see when they walk into the office, including how they’re greeted by your receptionist, whether they’re offered coffee or water, and the paintings on the walls. In addition, you’ll have your own private work areas and conference rooms. You can collaborate freely with your team without having to worry over who else might be listening. When your customers visit, you’ll have your own meeting and conference rooms available to host them in. 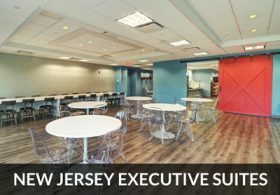 A traditional office provides one of the best experiences for your team and your partners and customers, but you’ll be paying more than if you chose an executive office with shared amenities and common areas. It’s up to you to determine the relative value of the added privacy and exclusive access to common areas, as well as tighter control over what your guests experience when they visit. 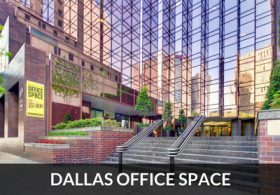 Boxer Property offers traditional office space for lease in many cities across the U.S. including Houston, Dallas, Fort Worth, Atlanta, Austin, Boston, Chicago, Cleveland, Denver/Colorado Springs, Hartford, New Jersey, Phoenix, and San Diego. A flex space is one of the most versatile types of office accommodations. Flex spaces incorporate your offices and warehouse into one location and are great for businesses where fulfillment is a major priority. If you’re in shipping and distribution, import/export, or eCommerce, you may find it highly beneficial to have your business office and warehouses in the same location. Not only can you conduct sales, client meetings and other business functions from your office, but you’re already on-site for any tasks related to operations, like packaging, shipping, etc. You can even use your office as a show-room for items in your warehouse, and customers can buy directly from you through your office, helping you save money on shipping costs. Additionally, if your warehouse is much bigger than your required office space, you may have the flexibility to add on to your office in the future, accommodating new workers without having to rent additional space. While Flex spaces offer some incredible perks, they can sometimes be expensive to rent. 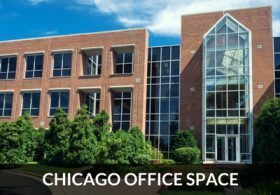 Most Flex spaces are leased with a NNN lease contract (aka Triple Net), meaning that the tenant is responsible for the operating costs associated with the building. Understanding what’s included in a NNN lease and what costs your landlord will be covering is an important aspect of leasing a space like this. Choosing the right-sized office is more of a science than an art – the amount of space that you’ll need depends on how many employees will share the office and what kind of work they will be doing. If you’re setting up a call center, employees can sit right next to each other, often without even a dividing wall, and your space requirements will be minimal. However, if you’re setting up a law office where each lawyer requires an inviting office in which to host clients, serve refreshments and do consultation meetings, you’ll need more space to accommodate everyone. If you’re planning to display products in your office, as in a show-room setting, space demands become even higher! Other than carefully planning your layout to ensure that your needs will be met in the office you choose, it’s important to plan carefully for growth. 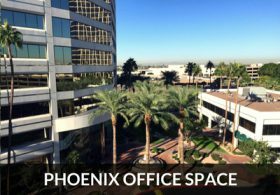 Small start-up companies often lease offices with double the space they need, anticipating rapid growth and the addition of new employees. If your team of ten is growing fast, a one-year lease on an office that supports 20 employees is likely to be a good decision for your business. If you’re stable with the number of employees you have, envision a layout that suits each employee’s needs and choose a space on that basis. *Know what to ask before choosing a location for your business! Choosing an office space isn’t about getting the best or the most that you can afford – it’s about understanding what’s right for you and your business today and how your needs could change in the future. Privacy for your company and employees, the experience of your guests and customers when they visit your office, the availability of common space, and overall functionality are all important considerations when deciding on an office space for your business. Start by understanding your requirements – space, number of employees, best location, storage needs and other factors, then you’ll understand which type of office space will work best for you.